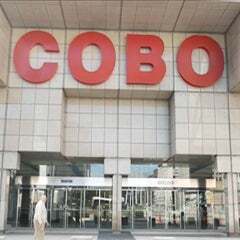 DETROIT, Feb. 10, 2012 – Cobo Center more than doubled its operating revenue in 2011 while its state and federal subsidies declined 37 percent, according to the annual audit of the Detroit Regional Convention Facility Authority, conducted by Doeren Mayhew Certified Public Accountants. The audit covers the fiscal year ending Sept. 30, 2011. Operating revenue increased from $3.6 million in fiscal year 2010 to $7.6 million last year according to the audit, which also notes that the increase occurred despite a sharp decline in operating subsidies from Michigan and the federal government from $20 million in 2010 to $12.5 million last year. The net assets of the authority also increased by $2.7 million to $51 million in 2011. 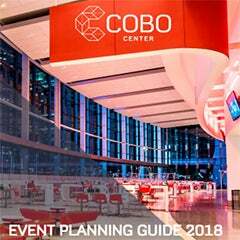 This customer satisfaction was evidenced in January 2012 when the authority and the Detroit Auto Dealers Association signed an unprecedented five-year contract to keep the North American International Auto Show at Cobo through 2017. “The audit also shows we’re being responsive to vendors and contractors and paying bills on time,” Bero said. “We’re adhering to our budgets and operating within the constraints established by the authority board and our legislative mandate." The facility just started the third and final phase of a $279 million capital improvement program, which is on time and under budget. “It’s important to note that we’ve maintained a safety-first philosophy that has translated into no loss of man hours due to injury in spite of the fact that the authority has spent more than $46 million in the first two phases of the renovations,” Bero said. 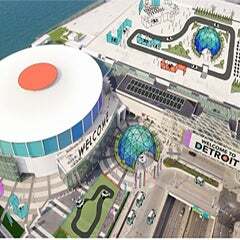 The DRCFA assumed control of Cobo from the city of Detroit on Sept. 15, 2009.